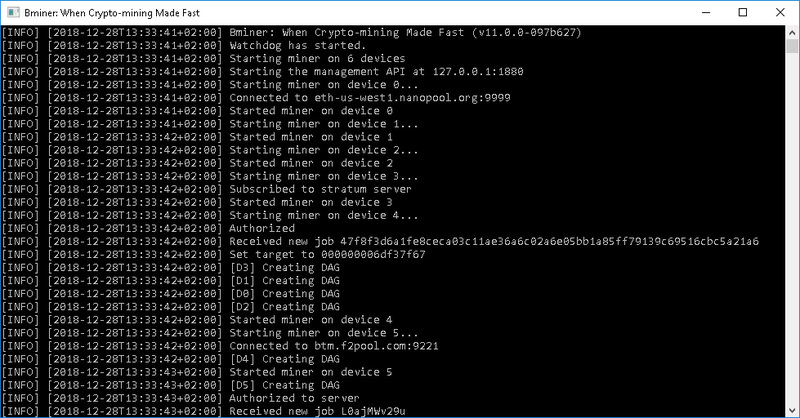 The latest Bminer 11.0.0 release has introduced Dual Mining mode for BTM/ETH similar to the support in NBMiner 12.0, although Bminer already had dual mining support for other algorithms the BTM/ETH pair is new. Have in mind that still not all of the BTM mining pools are supported by Bminer (like Antpool for example), so make sure you are on a compatible pool like f2pool in order to get the optimal performance with this miner in single or dual mining mode with Bytom mining. We remind you that that Bminer is a closed source Nvidia GPU miner available for Linux and Windows in the form of pre-compiled binaries and that there is a 2% development fee for Bytom (BTM), Equihash and Zhash coins, 0.65% for Ethash and 1.3% for dual mining Ethash and Blake.